Discover the perfect fit in our lightweight 360° DynamotionFit upper, expertly engineered to seamlessly follow every contour of your foot to deliver ultimate comfort. The Wave technology connected to the midsole offers high speed, stability and dynamic cushioning for smooth transitions between offensive and defensive positions, while the jump support allows for precise, spikes and support for each and every landing. Stable and lightweight shoe with improved fit. 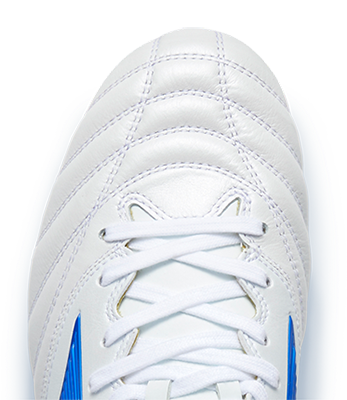 Mizuno Wave technology combined with PoWnCe midsole delivers unrivalled dynamic cushioning.